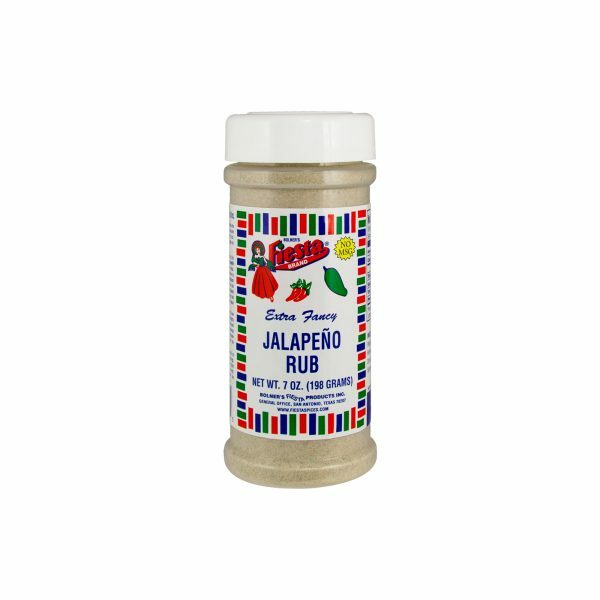 The perfect blend of chili peppers, garlic, paprika, and spices, Bolner’s Fiesta Brand Quick Chili Mix gives you authentic chili flavor with a fraction the preparation time. Chili is a dish that originated in Mexico during the 1500s as a spicy stew made with meat, tomatoes, chili peppers and beans. Traditionally, chili is left to simmer for several hours so the meat and beans can absorb the flavor of the seasonings. 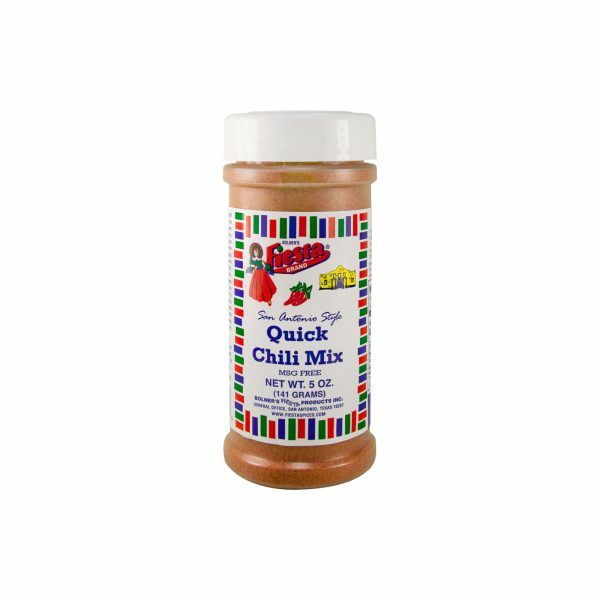 If you are craving that classic chili flavor but don’t have hours to spare, Bolner’s Fiesta Brand Quick Chili Mix is just what you need! Chili Peppers, Corn Flour, Spices, Garlic, Salt, Sugar, Onion, Paprika, Citric Acid and Silicon Dioxide (Free Flow Agent). Amounts per Serving: Calories 0g; Total Fat 0g (0%DV*); Sodium: 35mg (2%DV); Total Carb 0g (0%DV), Protein 0g. *Percent Daily Values (DV) are based on a 2,000 Calorie Diet. Serves 6-8 2 lb. Chili meat or ground beef 1 Tb Oil 2 cups Water 8 Tbsp. Bolner's Fiesta Quick Chili Mix Brown the meat in the oil. Add the water and Chili Mix. Bring the chili to a boil, then lower heat and simmer until the meat is tender. Add more water to desired consistency.